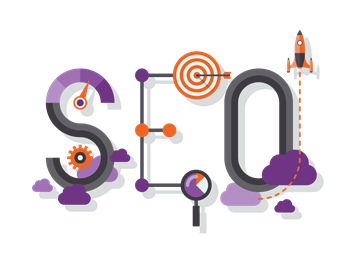 SEO, which stands for search engine optimization, is the method for improving website search engine rankings. Keep reading! SEO is NOT difficult. There are a handful of basic tasks you can perform on your Chamber’s website for SEO success. You can figure it out in less time than it takes for a pizza delivery. Having a website without optimizing it for search engines is like having a garage sale without any signs. You put in all that work, but no one knows about it, or if they do, they can’t find it. Download and follow the steps in the Chamber of Commerce Website SEO Checklist. By simply implementing even just one of the tips, you can improve your website’s placement in search results. Still not convinced? Check out the list below. The full checklist breaks down each of these tasks into easy-to-follow instructions. Quality Content: According to Google, website content is the most important factor in SEO. Keywords: Keywords are the “key” to search engine optimization. They’re what people use to search for information online. Meta Description: It’s the text shown under the title of your page in search engine results. Page Titles: These are what make people decide whether to visit your site when it shows up in search results. Image Descriptions: Search engines cannot “see” images; they can only “read” about them. It is important to use the right words in the right places. Internal Links: These help boost your search engine rankings. User-friendly Website: The very best of SEO techniques become ineffective if a website is poorly designed. You’ve already invested financially in your Chamber’s website. Now invest the time to be smart about SEO. Download the Chamber of Commerce Website SEO Checklist. What have you got to lose?